… or, to be more precise, of us becoming more aware that everyone’s getting older! Let’s start in March, when we celebrated Sue’s 50th birthday with a stay in a Bath hotel: a wonderful few days that included sightseeing, meals out and a boat trip on the river as our hotel was conveniently situated alongside the river upstream from the city centre. Highly recommended! Now fast forward to December, when Phil’s Dad took a tumble down the stairs and ended up in hospital: not recommended, even when you’re young. Thankfully no bones broken but plenty of bruises. The good news is Phil’s parents have agreed to have a stairlift fitted. At the other end of the generational gap, we’ve heard wedding bells ringing and possibly angels singing as nephews & nieces have been busy announcing weddings, getting married and/or having babies, making us Great Uncle Phil & Great Aunty Sue all over again — or should that be Grand? But whether it’s great or grand, it’s making us feel older as we realise our nephews & nieces are no longer the little children they were: wholehearted congratulations to them all! In the latter half of the year Sue’s hip became increasingly painful so in December we took a trip to Oxford’s Nuffield Orthopaedic Hospital for a checkup. Conclusion: there’s been some deterioration but probably not enough to warrant a replacement just yet. She should keep up the swimming and pilates/physio exercises and return for another check next year. As for Phil, in the middle of the year he was diagnosed with suspected glaucoma. 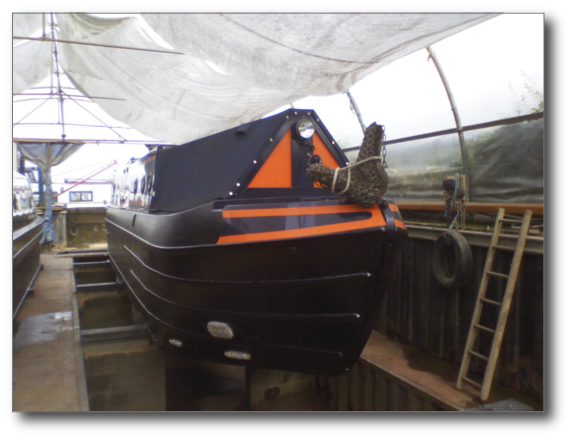 Initial tests were inconclusive so he returns for further tests in January 2014: watch this space. Otherwise fine and still cycling to and from work. Remember 5 Quid for Life? It’s a project launched by Phil and a group of his friends back in 2011 to provide emergency financial support for people with mental health problems who have lost (or are in danger of losing) their benefits as a result of the government’s welfare reforms; and it’s kept Phil quite busy this year responding to enquiries and requests for help. Want to know more? Visit 5quidforlife.org.uk. Donations always welcome, but there are plenty of other ways to help too, such as sharing via facebook and twitter or by putting up a poster in your local community hall or doctor’s waiting room. The job is done! 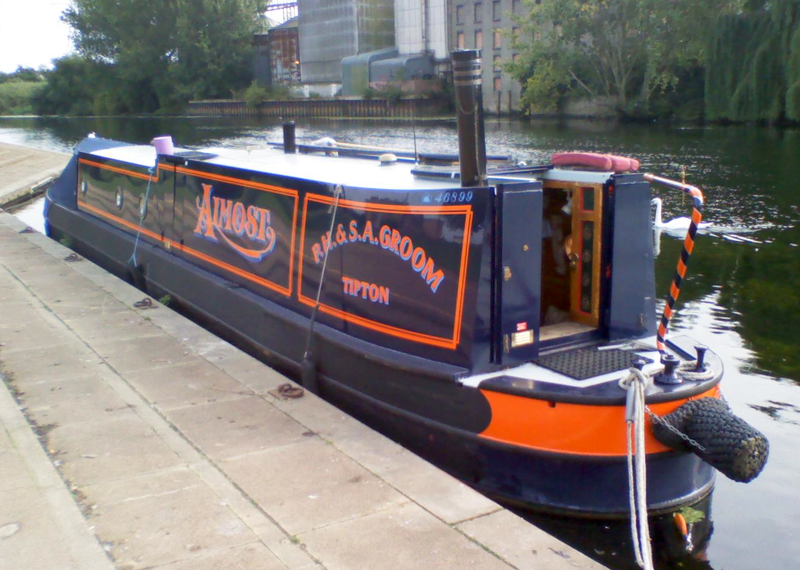 Colin & Kevin at Spiderworx worked their magic and Almost looked most resplendent in her new livery for our late summer holiday, another trip along the Nene to sunny Peterborough — or not so sunny, as things turned out in September this year. for all the Christmas cards that so many of you have sent. We’re sending out a few to close family but otherwise, as in previous years, will be making a donation to WaterAid instead. Posted by Phil Groom in Family. It’s not every day your youngest nephew turns 16 and decides to adopt the family name: nice one, Luke! Have a great day and take good care of that name! Posted by Phil Groom in Family, Frivolity. It’s my brother’s birthday today: bet you can’t guess how old he is!! 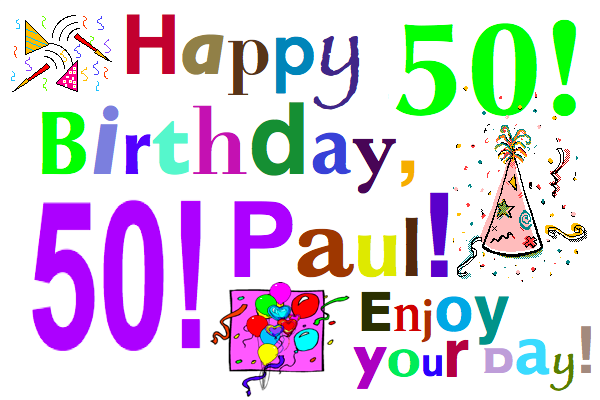 Have a great day, Paul — and many happy returns!